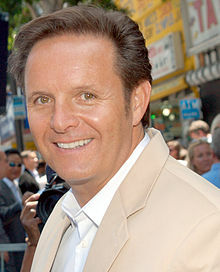 Mark Burnett (born 17 July 1960) is a television producer based in Los Angeles. He was born in London and raised in Dagenham. He has been married to the actress Roma Downey since 2007. Burnett has produced shows including Survivor, The Voice (TV series) The Celebrity Apprentice, The Apprentice, Are You Smarter Than a 5th Grader?, and The Contender. This page was last changed on 26 November 2015, at 22:36.